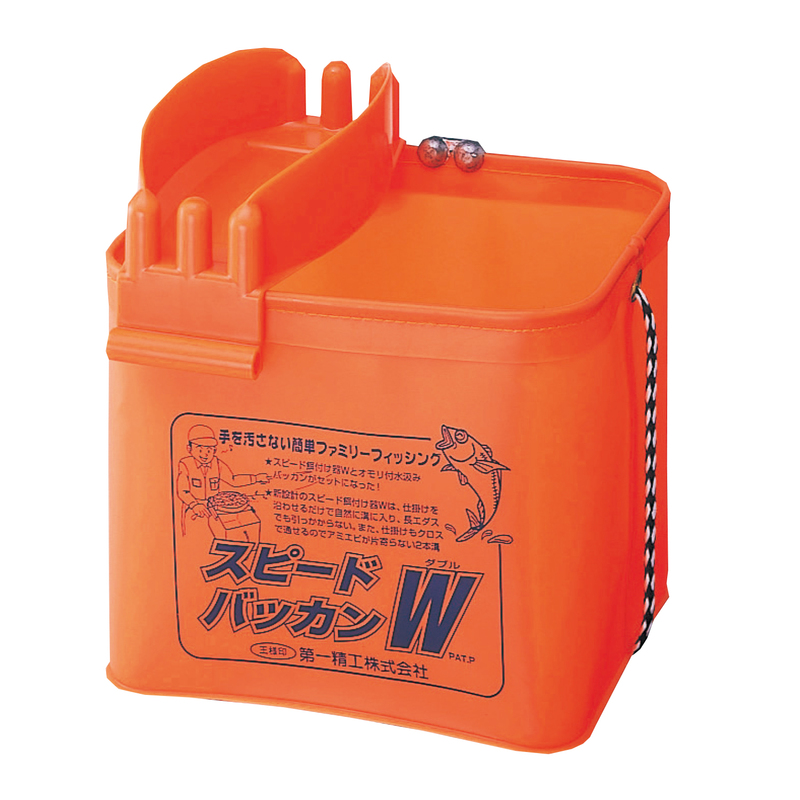 The Speed Esatsukeki W (a fish bait feeder) integrated with the Bakkan (a fishing container bag) with a sinker to take water. Put opossum shrimp bait and seawater for a stability increase and ease of baiting hooks. The Speed Esatsukeki W just fits on top of the Bakkan provided with a sinker for taking water. • Possible to bait all hooks evenly by just holding the sinker and sending the bait as if the bait rubs the trick rig, which ensures excellent fishing performance. • The Speed Esatsukeki W is a newly designed bait feeder W that enters the grooves naturally by just bringing the rig along the groove, and prevents the entanglement of long leader lines. Provided with two grooves where rigs can be crossed and passed through the grooves, which prevents the unbalancing of opossum shrimp. 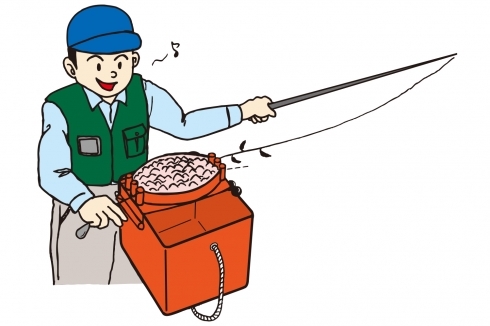 • Make sure that the hooks are not caught by other things when baiting the hooks. • Putting opossum shrimp bait into the Bakkan or seawater to the Bakkan as a hand wash bucket will contribute to a stability increase, thus making it possible to place the product anywhere. • The bucket is provided with a sinker for ease of taking water in a speedy manner. • Use hot water or use a dryer to rectify wrinkling.